What is hand targeting? It’s simple! The dog learns to touch his nose to a human’s hand. That’s it! Why does my dog need to know it? Hand targeting is one of the most versatile behaviors you can teach your dog! It gives boisterous youngsters and shy, wary dogs something appropriate to do when presented with an outstretched hand. Instead of mouthing the hand or backing away, the dogs know to nose-poke it instead. It can also be used to teach dogs to walk on a loose leash, and to move dogs from one place to another, such as from the couch to the floor. Strata touches his nose to Katherine’s hand. How do I teach it? Get out your clicker, and prepare some tiny, soft, tasty treats that your dog really enjoys. When your dog is paying attention to you, offer your hand to him, about 6” from his face. 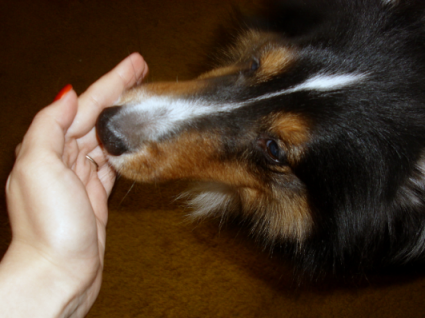 When he investigates your hand by sniffing or licking it, click and give him a treat. Repeat this several times until the dog is consistently touching his nose to your hand every time you offer it to him. Next, make the behavior more challenging by presenting your hand in different locations. Move your hand slightly to the left or to the right, and click/treat when your dog touches your hand. 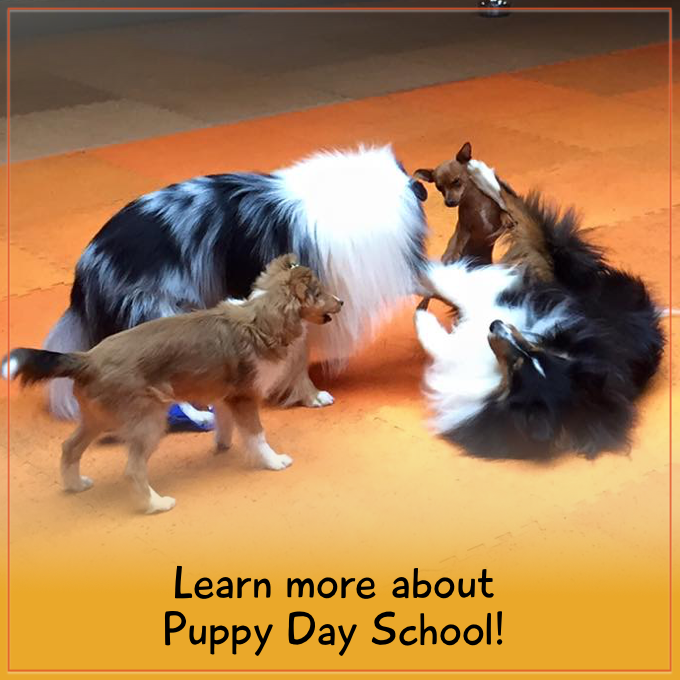 With practice, your dog will be able to hand target regardless of where you offer your hand. When your dog is touching your hand every time you present it to him, and you have practiced the behavior in different locations and around distractions, it is time to introduce the cue. Happy training! I love hand targeting. 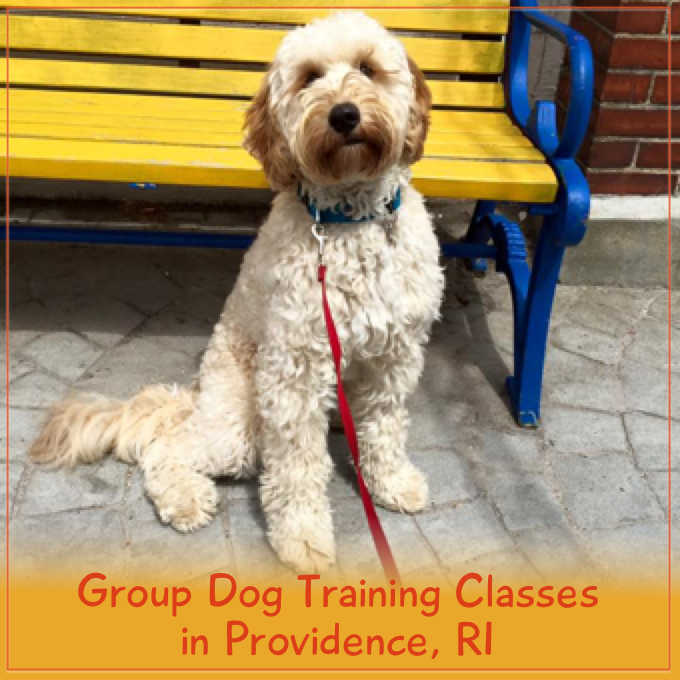 Such an easy exercise that can be done anywhere and can get a dog to focus and think. it can be as easy or as challenging as you make it.